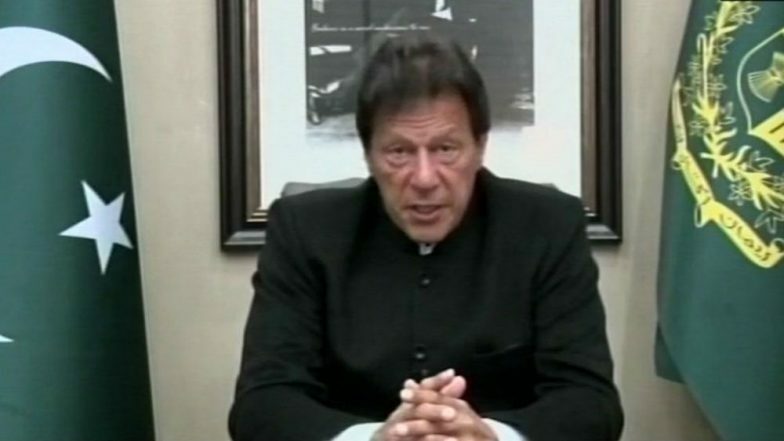 Islamabad, March 27: Pakistan Prime Minister Imran Khan has said that he fears "another security incident" with India ahead of general elections in that country. "I'm still apprehensive before the (Indian) elections, I feel that something could happen," The News International quoted Khan as telling the Financial Times. "When Pulwama happened, I felt that Modi's government used that to build this war hysteria," he added, referring to the February 14 suicide bombing at Pulwama in Kashmir which killed 40 CRPF troopers. Imran Khan Says Indo-Pak Relations to Remain Tense Till Lok Sabha Elections in India. "The Indian public should realise that this is all for winning the election, it's nothing to do with the real issues of the sub-continent." Khan said that tensions were still high even after the Pulwama attack, claimed by the Pakistan-based Jaish-e-Mohammed (JeM) terrorist group. India then bombed the JeM's biggest training camp in Pakistan, which retaliated the next day with bombing sorties. An Indian pilot was captured by Pakistan but released.